The Report states that "As many as 9,000 parcels were packed daily. 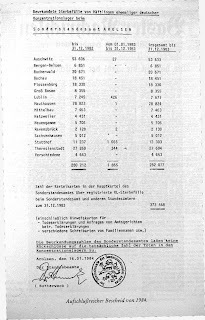 From the autumn of 1943 until May 1945, about 1,112,000 parcels with a total weight of 4,500 tons were sent off to the concentration camps" (Vol. III, p. 80). In addition to food, these contained clothing and pharmaceutical supplies. 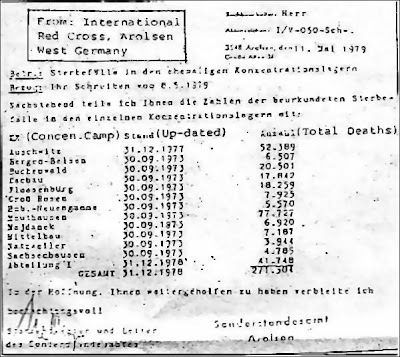 "Parcels were sent to Dachau, Buchenwald, Sangerhausen, Sachsenhausen, Oranienburg, Flossenburg, Landsberg-am-Lech, Flöha, Ravensbrück, Hamburg-Neuengamme, Mauthausen, Theresienstadt, Auschwitz, Bergen-Belsen, to camps near Vienna and in Central and Southern Germany. 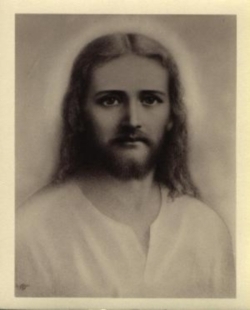 The principal recipients were Belgians, Dutch, French, Greeks, Italians, Norwegians, Poles and stateless Jews" (Vol. III, p. 83).